I was seeking someone who not only speaks English but is attentive, accessible, knowledgeable, reliable and trustworthy. No easy find in a strange country. But for me Cesar Dominguez was the complete answer. I recommend him highly! 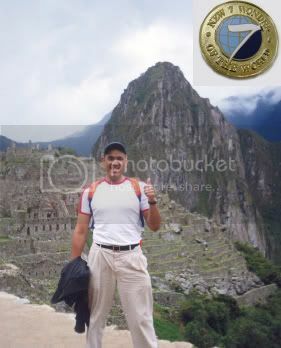 I was one of the rare privileged company to make a journey to Machu Picchu. It's one of the wonders of the world, a truly mystical place. Proper travel and accomodation arrangements are critical. 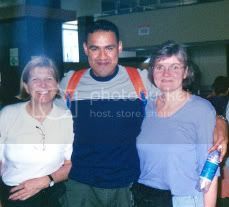 I relied on Cesar Dominguez who can be contacted through www.connect.to/Peru. He was new to me. 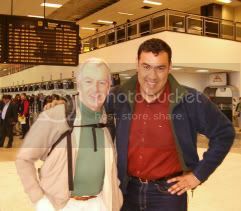 He met me when I arrived at the airport in Lima after midnight, accompanied me to the place where I was staying, arranged the entire journey to cuzco and Machu Picchu. I spent a night in Vina del Mar, Chile, before boarding the ship. Hotel O'Higgins is a nice, older hotel, and you can't beat its location on the main square. For two persons, it cost $75 for two beds and a private bath. In Arica, Chile, we went to a very good restaurant which served the best Chilean beef I've ever had. El Arriero is on the main pedestrian mall. Two of us had salad, a main beef course with a side dish and wine for under $25. It also has a nice crafts market. The ship docks at Manta, Ecuador. 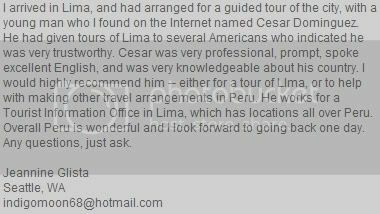 A great contact in Lima is Cesar Dominguez (e-mail cesards@ yahoo.com or cesards@hotmail.com or visit http://connect.to/peru). He works for the tourist authority at the airport, and on his days off he will meet you at your ship or hotel and show you around the city. He is very knowledgeable and speaks English very well. He loves his city and country and it shows. They called about every hour while they were in Cesar’s care. They accompanied Cesar to his grandfather’s birthday party (one of the highlights of their Lima tour). They saw the Peruvian Art Museum (designed by Eiffel) The Justice Palace and walked around the "Plaza San Martin”. They went to the San Francisco Convent and visited the Catacombs. They also went to Miraflores and the beach. They said the Cesar spoke excellent English, explaining many vivid details and highlights about Lima and Peruvian history. Cesar even helped them negotiate the confusion at the airport, staying with them until they went through airport security. 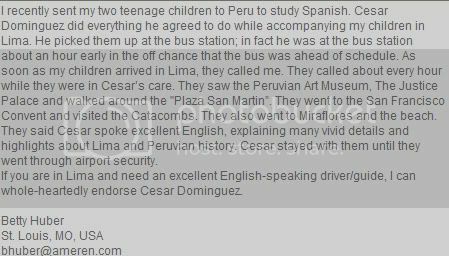 If you are in Lima and need an excellent English-speaking driver/guide, I can whole-heartedly endorse Cesar Dominguez. 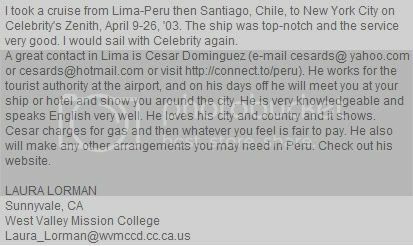 You can contact Cesar through his home page http://connect.to/Peru or his e-mails are: cesards@hotmail.com, cesards@yahoo.com Testimonial of a Celebrity Zenith Cruise female solo traveler in Lima-Peru Cesar Dominguez provided city tour and tour services to Ms. Laura Lorman and friend when they arrived to the port of Callao Lima-Peru in the Celebrity Zenith Cruise April 2003 Zenith cruise from Chile - Traveler's Intercom: readers' opinions, tips & recommendations International Travel News, Dec, 2003 by Laura Lorman Save a personal copy of this article and quickly find it again with Furl.net. Get started now. (It's free. 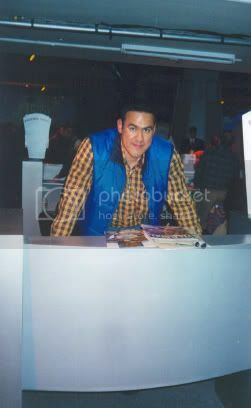 )I took a cruise from Santiago, Chile, to New York City on Celebrity's Zenith, April 9-26, '03. The ship was top-notch and the service very good. I would sail with Celebrity again.I got an excellent price of $1,299 for an outside stateroom. The stateroom was a free upgrade because I had signed up for their repeat program (free of charge). American bulletin board, I sent him an email asking for his recommendations of a safe and reliable driver to pick them up from the bus station, tour Lima for several hours and then take them to the airport. He suggested that he be their driver/guide for their stay in Lima. I was very nervous about any arrangement I would make with a private driver who I had not met personally, but we exchanged several emails and Cesar devised a method to allow me to check on my children while in his care. 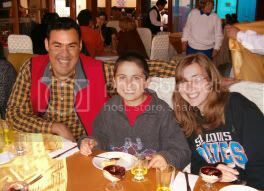 Cesar did everything he agreed to do while accompanying my children in Lima. He picked them up at the bus station; in fact he was at the bus station about an hour early in the off chance that the bus was ahead of schedule. As soon as my children arrived in Lima, they called me. Hello travelers from all over the world! My name is Cesar Dominguez and I was born and raised in Lima-Peru. Here I'm visiting The New Seven Wonder of the World: Machu Picchu! It is near the city of Cuzco, capital of the great Inca Empire! I have had the wonderful opportunity to visit most of my beautiful country including: Cuzco, Puno, Arequipa, Nazca, Ica, Pisco, Puerto Maldonado and Iquitos. In this my brand new homepage I'm going to start to give you some hints and information about my country and my people. I want you to feel welcome in Peru! The Free Tourist Information counters are located at the International Arrival Gates of the Jorge Chavez Intl. Airport. I work --mostly-- the overnight shift since most of the International flights arrive late at night. We help travelers find cheap domestic flight reservations all over Peru, book safe accomodation according to their nice budget and to put them in contact with a reliable and licensed tour operator to hike the Inca trail for instance. 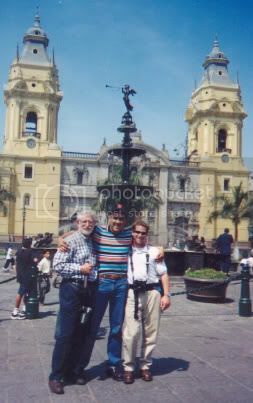 Here I am in the main square of Lima (Plaza Mayor) with some traveling friends from USA. The Cathedral of Lima is right behind us. I like to have friends from all over the world and to help them in anything and everything they might need during their staying in Peru. My motto is "Treat others as I would like to be treated"
A Peruvian Young Man of Honor! Copyright © 2000-2006, NewOpenWorld Foundation, Switzerland, All rights reserved. This is a FREE and convenient service of "Lima Airport Partners" the new American and German administration of the Jorge Chavez Airport. I'm very likely to be right here the date and time of your international arrival! Please let me know in advance of your arrival date and time. I would be very happy to meet you and help you design a tailor-made trip up front to meet your expectations and according to your budget! Click on the Lan-Peru and TACA flight tickets to learn more about how you can get your cheap internal flight tickets without having to provide any credit card number or any money in advance at no extra fee! The following are few of the most recent Testimonials from some nice travelers that contacted me online between years 2003 and 2007 for some help in their visiting to Peru please click on the link for reading their experience that they kindly posted and shared in some Message Boards and Bulletin Boards once they returned to their countries with nice memories of my dear country Peru! Click on the blue banners to read the full original post. Feel free to check them out!